Embattled businessman Vijay Mallya is facing an extradition case to India in a London court. Liquor baron and former Kingfisher Airlines chairman Vijay Mallya has accused the government of discrimination when it comes to bailing out private companies in the country. Mallya, who is facing an extradition case to India in a London court, in a series of Tweets, said his heart went out for the beleaguered airline, which was on the verge of complete shutdown as its lenders had not released the minimum required funding of around Rs 1,500 crore. Mallya said it was sad many airlines like Jet Airways had to bite the dust in India. "Even though we were fierce competitors, my sympathies go out to Naresh and Neeta Goyal who built Jet Airways that India should be extremely proud of. Fine Airline providing vital connectivity and class service. Sad that so many Airlines have bitten the dust in India. Why?" Mallya asked. Drawing a comparison with state-owned Air India, which has a debt of over Rs 50,000 crore, Mallya said the government used Rs 35,000 crore of public funds to bail out Air India while one of finest airlines like Jet Airways was being allowed to collapse. "Even though Jet was a major competitor to Kingfisher at the time I feel sorry to see such a large private airline on the brink of failure when Government used 35K crores of public funds to bail out Air India. Just being a PSU is no excuse for discrimination." 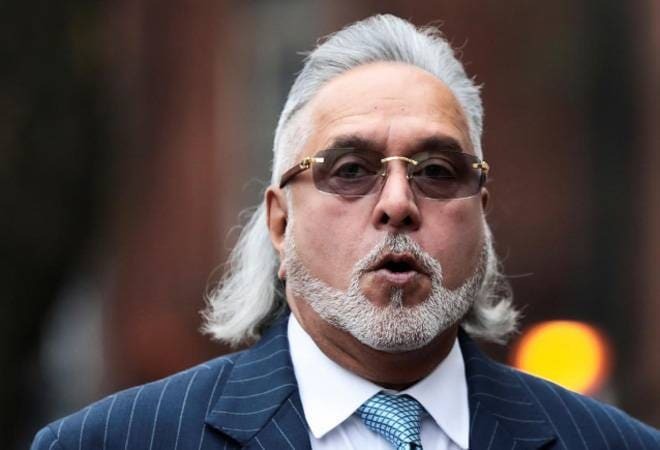 Calling it the "Airline Karma", Mallya said his now defunct Kingfisher Airline borrowed from public sector banks as well but now that he was offering to pay back "100 per cent" he was being "criminally charged". "I invested hugely into Kingfisher which rapidly grew to become India's largest and most awarded airline. True, Kingfisher borrowed from PSU Banks as well. I have offered to pay back 100 per cent but am being criminally charged instead. Airline Karma?" Asked the fugitive businessman. He also accused the media of bias reporting whenever he expressed his willingness to pay "100 per cent back to the PSU banks". "I am willing to pay either way whether I am in London or in an Indian Jail. Why don't Banks take the money I offered first?" he tweeted. I invested hugely into Kingfisher which rapidly grew to become Indiaâ€™s largest and most awarded airline. True, Kingfisher borrowed from PSU Banks as well. I have offered to pay back 100 percent but am being criminally charged instead. Airline Karma ? The embattled businessman had recently filed an application in the UK High Court to avoid extradition to India. Mallya filed for an oral consideration after his first attempt at an application seeking "leave to appeal" in the court failed. The Westminster Magistrates' Court has already judged in favour of extraditing Mallya to India, which was then approved by the UK Home Secretary Sajid Javid back in February. Meanwhile, the Jet Airways' board is meeting today to decide on the crumbling airline's next course of action. The airline's operating fleet has now reduced to just five planes. Civil Aviation Secretary Pradeep Singh Kharola said yesterday that the airline, which has a debt of over Rs 8,000 crore, has sought emergency funds worth around Rs 400 crore from banks and that the matter was between the carrier and the reluctant lenders. Many of Jet Airways' 16,000-plus employees have not received salary since January.